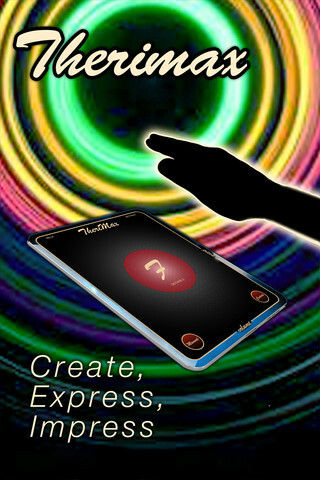 With its accelerometer, digital compass, and sound generation capabilities, the iPhone has become a popular platform for theremin simulator applications. Rather than making you navigate the iTunes store for each app yourself, we've put together a round-up of all the theremin apps we could find. Many of these are also available for the iPod Touch or iPad. If you know of one that's not listed, please let us know and well keep this list up to date. Aetherphon features both pitch (forward/backward tilt) and volume (side-to-side rotation) controls, 4 waveforms, and a spiral oscilloscope-like display. 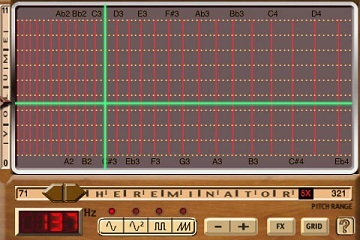 The synth engine seems to be playing individual notes rather than a continuous tone, but perhaps a future update will make it just a bit more theremin-like. Bebot definitely wins on the cuteness factor, and its synth engine isn't bad either! This touch-based application allows timbre and effects modification and even has a built-in theremin sound preset. It also supports multi-touch, allowing you to play multiple notes at the same time. 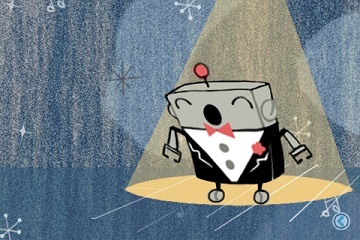 As you slide your finger around the screen, the little animated robot "sings" along with your tune. 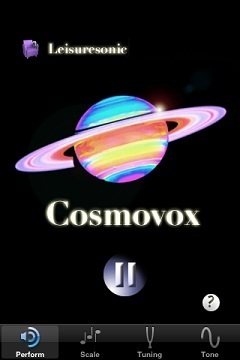 Cosmovox is a fun little pitch-only theremin app. Tilt back and forth to modify pitch. 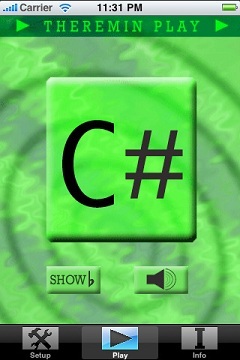 Settings allow you to play in "continuous" (theremin-like) mode, or snap to various scales. It also allows quite a bit of tweaking to the timbre. 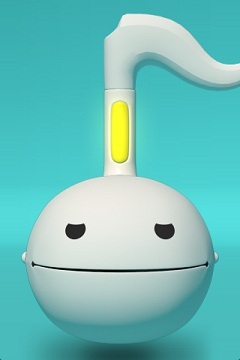 An iPhone adaptation of Yoshimoto's Otamatone toy. Play with one or two fingers, tilt back and forth to control volume. Cute. 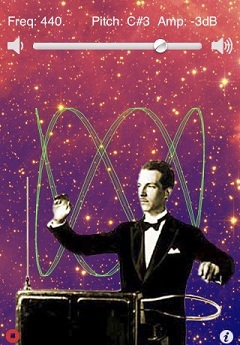 FDG's app features a photo of Leon Theremin himself wailing away on his theremin as you perform. Settings allow lots of control over the sound generator, including waveform, vibrato, pitch range, and snapping to the chromatic scale. Thereminator is a touch-based simulator that allows both pitch and volume control depending on where you touch the screen along the X and Y axes of the grid. 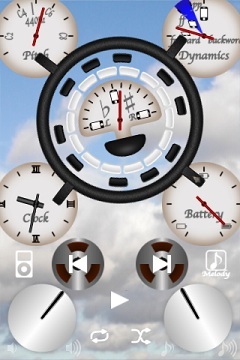 Settings allow control of tremolo, echo, frequency display, and note duration. 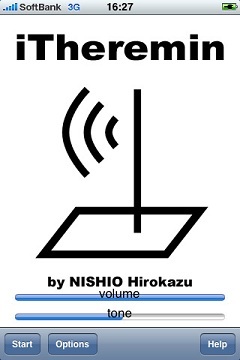 The sound generation on this app is particularly good in our opinion and is quite close to a real theremin. 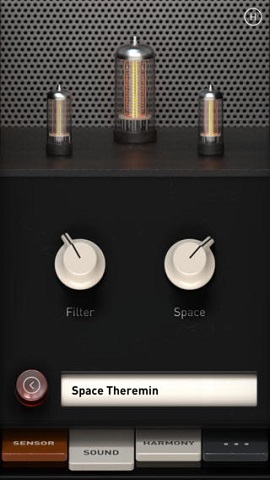 Play with light – Theremin I/O turns your iPhone into a touchless music instrument. It uses your camera and flash to measure the distance to your hand, this signal is then processed by a synthesizer to generate a tone. 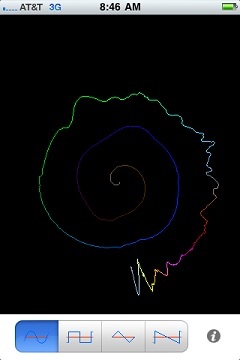 Therimax is a musical instrument designed for the iOS. Using the camera, a hand-held magnet, or the touch screen, Therimax allows you to create music without physical touch, without frustrating callouses or irritating music lessons, and without knowing a lick of music. All simply by waving your hands in the air. The era of gestural music is at hand! Read a more in-depth description of Therimax here.